According to research Oxfam conducted, women and girls feel at risk of physical and sexual abuse in overcrowded temporary shelters where there is often no privacy or solid walls. The situation is particularly worrying for single women – often widows and divorcees – who are commonly isolated within their communities. Such women get little support from communities to clear debris and build more permanent shelters. They also find it harder to access loans and compensation without the backing of a male guarantor. 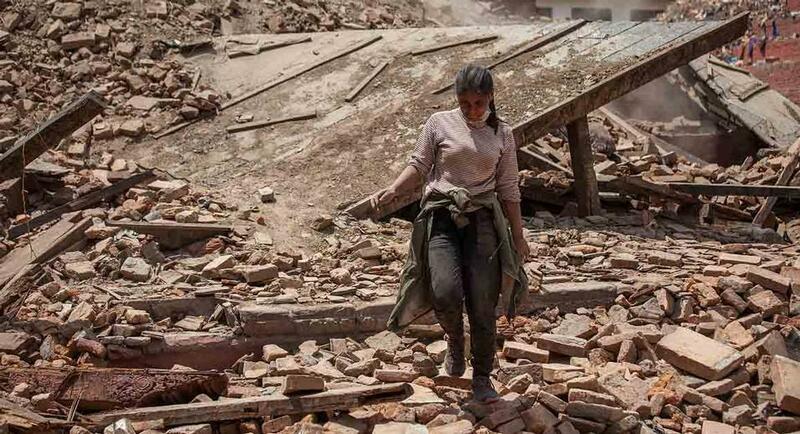 UN Women estimates that there are approximately 318,000 female-headed households in the 13 worst-affected districts of Nepal. Oxfam has been conducting focus groups in rural areas to ensure women’s needs are being heard and placed at the centre of the earthquake response. So far this has involved distributing gender-sensitive hygiene kits and building separate toilet blocks for women and girls. Oxfam has also been providing counselling, and advice on maintaining hygiene to prevent diseases through radio programmes. Sunita Tamang (not her real name), 35, from Sindhupalchok district, lost her husband two years ago and her house in the first earthquake. She said: “Who would build me a house, as I have nobody? My husband died two years ago. I don’t have money to build my house.” Oxfam and its partners were able to build a shelter for her and her two young boys. Oxfam has put gender issues at the core of its work in all the three sectors (water and sanitation; food security and livelihoods; and shelter) of its earthquake response programme. Moreover, Oxfam and WHR are working with district authorities to build women’s leadership and meaningful involvement in the relief and recovery efforts through the Women Centres. Oxfam and its partners in Nepal have delivered essential aid to more than 320,000 people in seven of the worst-affected districts. It is aiming to reach 400,000 people by the end of August. This aid has included emergency shelters, hygiene kits, clean water, food and sanitation facilities. Oxfam has provided more than 35,000 emergency and improved shelter kits to people in Nepal.